The HK Kit of the B-17 in 1/32 scale is indeed a monster. You would think that seeing it isn't officially out yet and the overall size of the thing would prevent add-on aftermarket being made for it – but Ohh no! 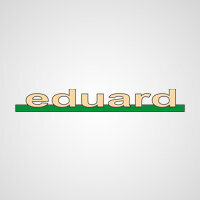 Eduard has thrown their hat in the ring early with their 1/32nd scale photo etch improvement set for the flaps – be prepared to be blown away! 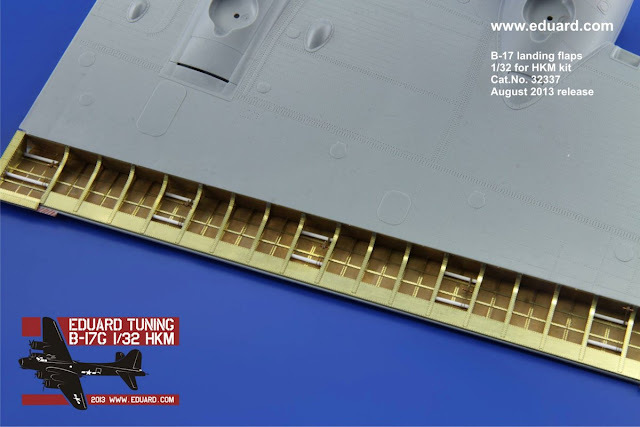 The Hong Kong Models giant B-17G in 1/32 is expected in near future and it is a great example how Eduard would like to schedule release for most of their photo-etch and Brassins™ for other manufacturer’s kits. 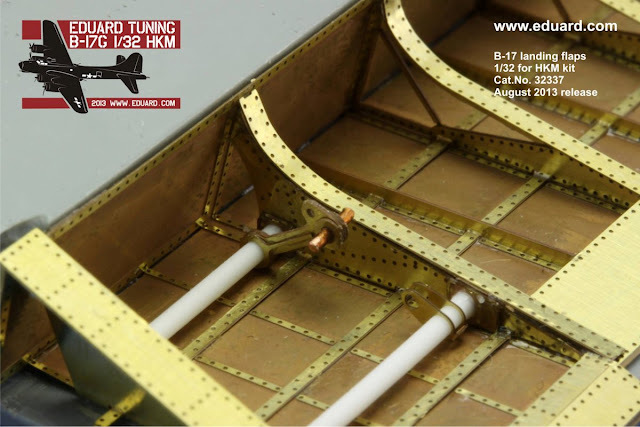 Their planned wide range of accessories for this very (very) large kit is based on two pre-production plastic samples that Eduard received in advance of the final kit. 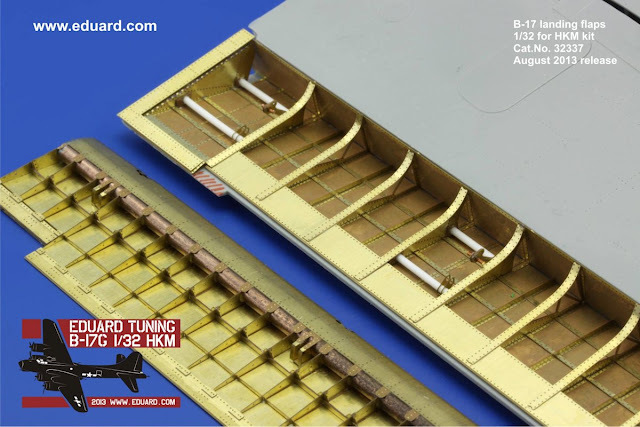 Not only will there be new Brassin wheels and masks (July 2013), followed by Landing flaps and engines in August ... and all the interior and exterior stuff. This looks very impressive to us! 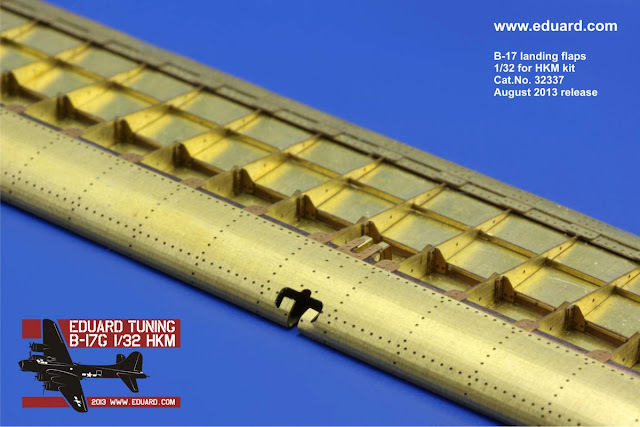 B-17G 1/32 HKM landing flaps - designed by Lubos Zach. 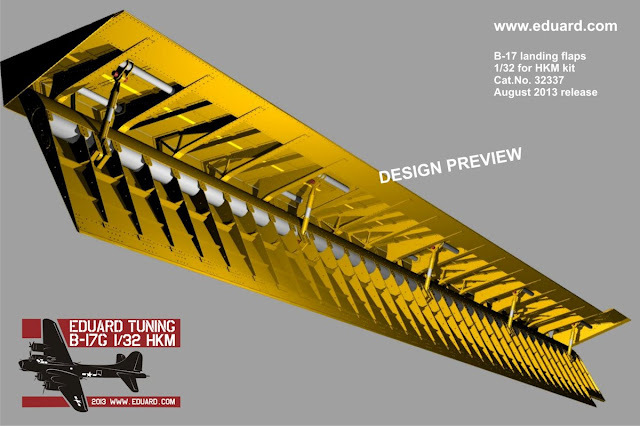 This is a preview from the photo-etch parts designing. Flap in the open position. 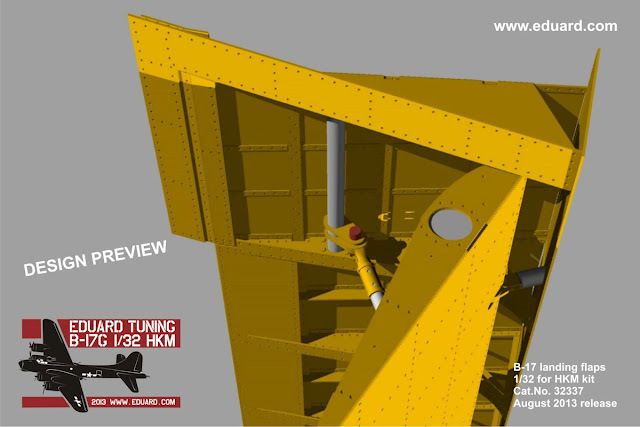 Detailed look on the retracting mechanism - like on the real Fortress. 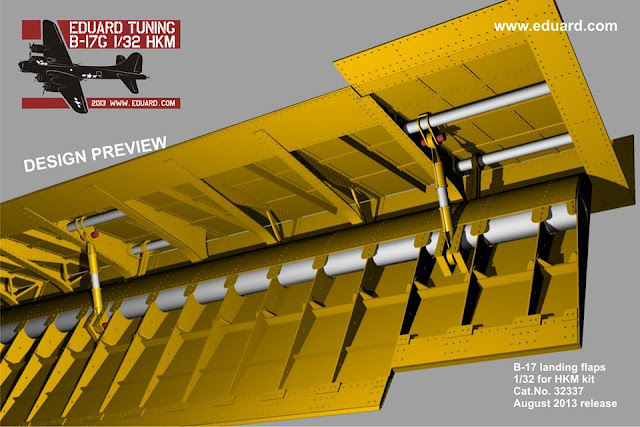 This is a preview from the photo-etch parts design - Left wing flap in the open position. 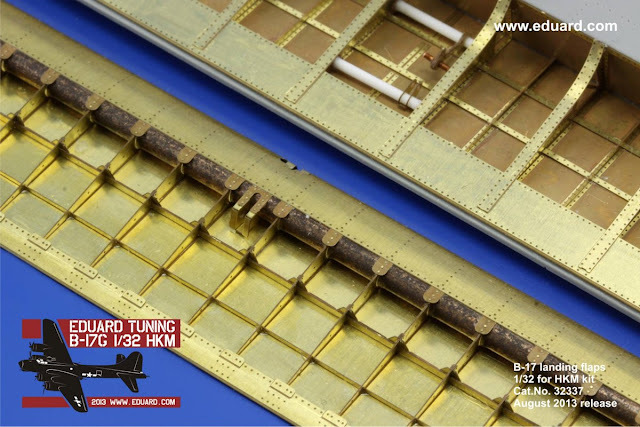 You will need some plastic rods for tube-shaped parts. One more detailed look on the flap's leading edge. Note the two styles of ribs designed there. 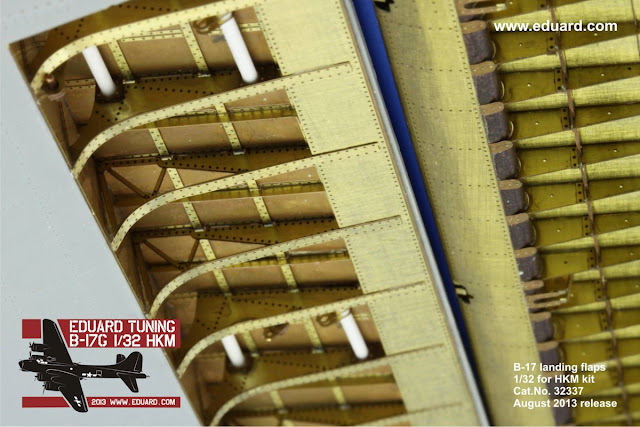 All is like on the real B-17, designed while using detailed photographs and war-time manuals and parts catalogues.